When I took this photograph I was taking the piss. 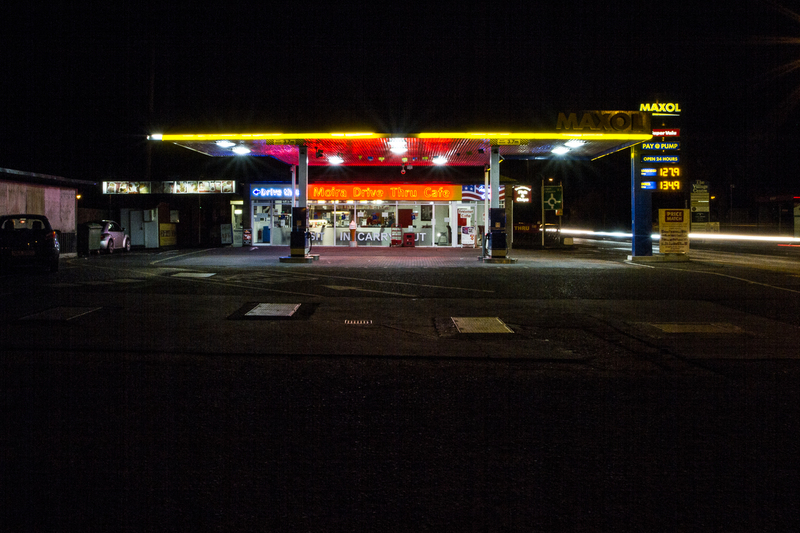 I am not much into documentary fine art photography and knowing that there was a tradition, in photographic art, of capturing the beauty of petrol stations I decided that I would join in with the fun. When I took it into college I was told that it was one of my best pieces to date. You just cannot win. 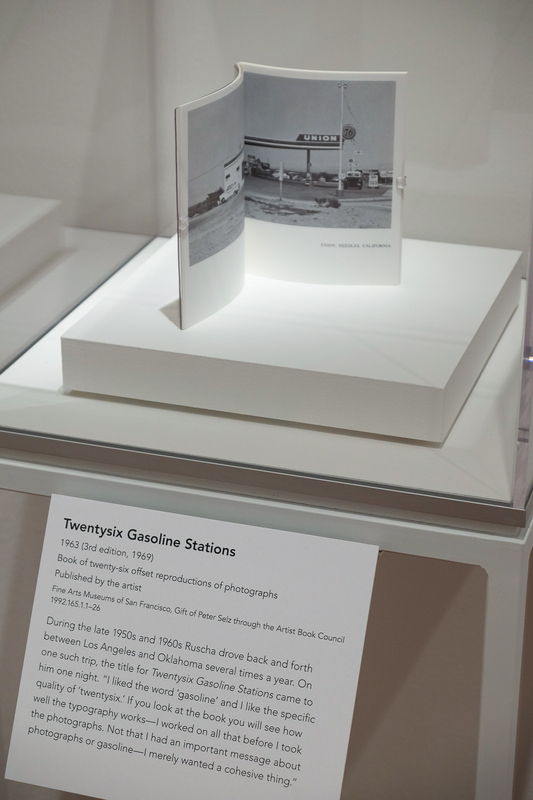 One of the first individuals to produce work of this kind was Ed Ruscha most famously in his artists’ book entitled “Twenty Six Gasoline Stations”. The story goes that he sent a copy of this work to the American Library of Congress which returned it as not of the required caliber. I could have been that librarian as the concept of an artists’ book was new to me until I had to make one myself. Look up the term “artists’ book” and you might understand the liberation it affords its creator. This shot of his book in the de Young Museum in San Francisco. The annotation below the book gives a hint at his approach. In the TateShot ( link below ) he expands on his approach to his work. Why am I discussing this? 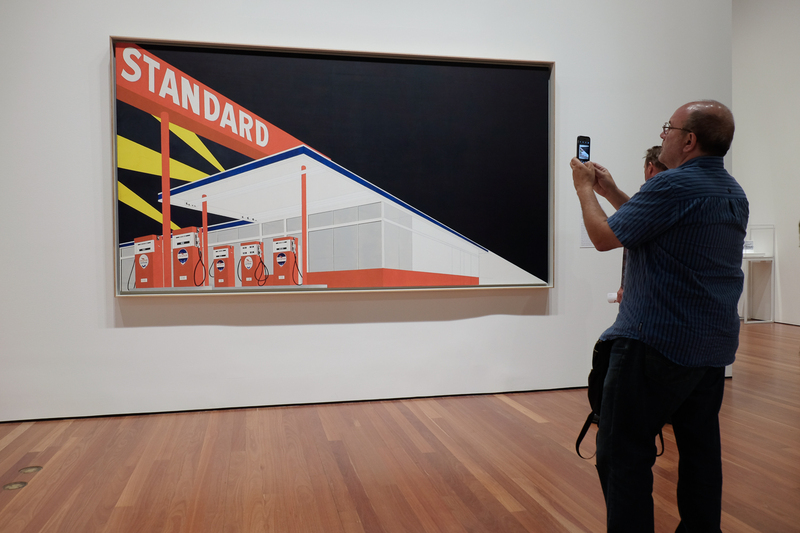 I had labelled Ed Ruscha based on his gasoline stations until I saw the exhibition of his work. 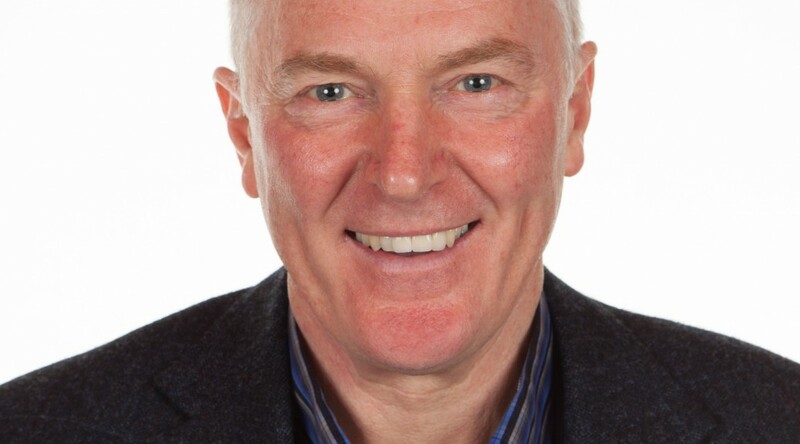 That changed my opinion of his work completely. Had I not taken time to visit the de Young Museum I would not have discovered how good an artist he is. Screen views of art wet your appetite, books are a little better but getting up close and personal with art in a gallery works for me.